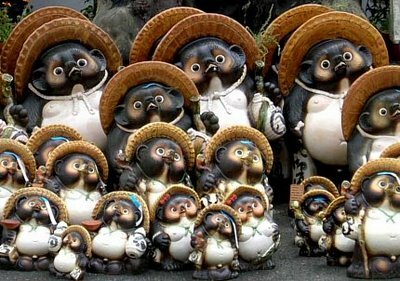 Japan has all kinds of crazy legends but none I find as adorable as the Tanuki. If you don’t know (or have seen studio Ghibli’s “Pom Poko”) A Tanuki is a type of racoons dog creature found in the forests of Japan. 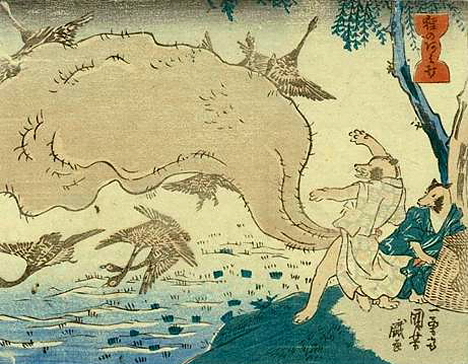 The Tanuki are often depicted with large testicles. That’s right. Testicles. Sometimes they sling them over their shoulders like travelers do with packs or use them as drums. Remember that episode of South Park where Stan’s dad have himself testicular cancer so he could get medicinal marijuana and grew his balls really big by put them in the microwave? Yeah think that on a racoons. 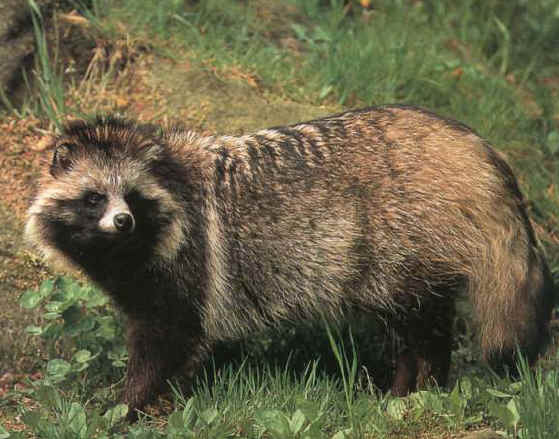 Let me remind you that the Japanese feature the Tanuki in cartoons for children. Other then the huge balls, the Tanuki has a very distinctive look They are often depicted wearing a hat to be ready to protect against trouble or bad weather, big eyes, a big tail, big bellies and a friendly smile. They are said to be mischievous and have the power to change their appearance by placing a leave on their head.